We arrived at Villa Rama and immediately felt relaxed. The pool area is just great. We spent many days relaxin on the banana lounges reading and swimming. The bedrooms and bathrooms are lovely. The Villa is off the main street and is really quiet, but still within walking distance to shops and restaurants. The Villa staff were all lovely. We stayed at Villa Rama, 3 couples and 2 kids. Plenty of space for everyone to enjoy themselves or take a time out on the day bed. 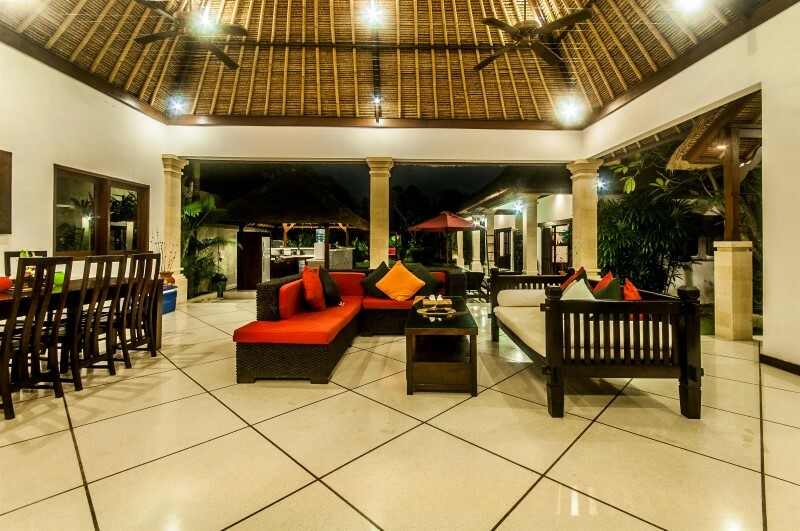 The Villa was clean and modern and the staff were super friendly and helpful. 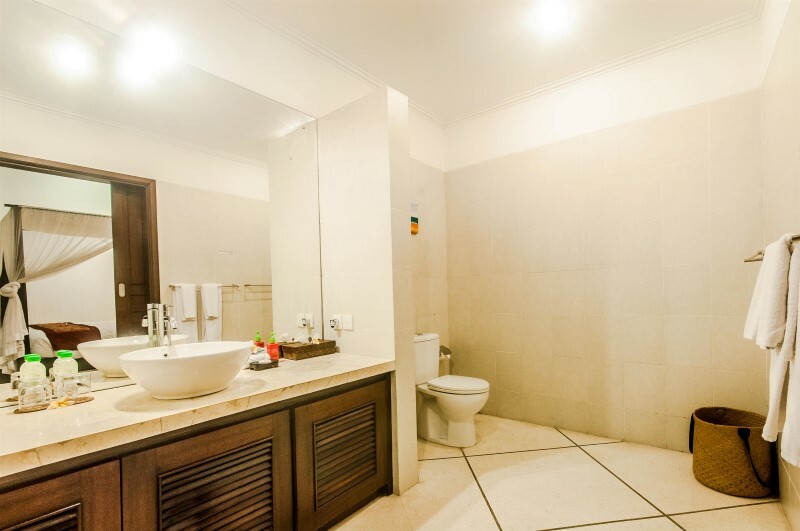 Ideally located in Seminyak but just of the main road so it is always peaceful. A great stay and I will definitely be going back. Was absolutely incredible 😍 – customer service was amazing!!!! Clean Villa, breakfast was delicious!!! Location was great as well I highly recommend we will definitely be back soon. Thank you! Villa Rama has the WOW factor. 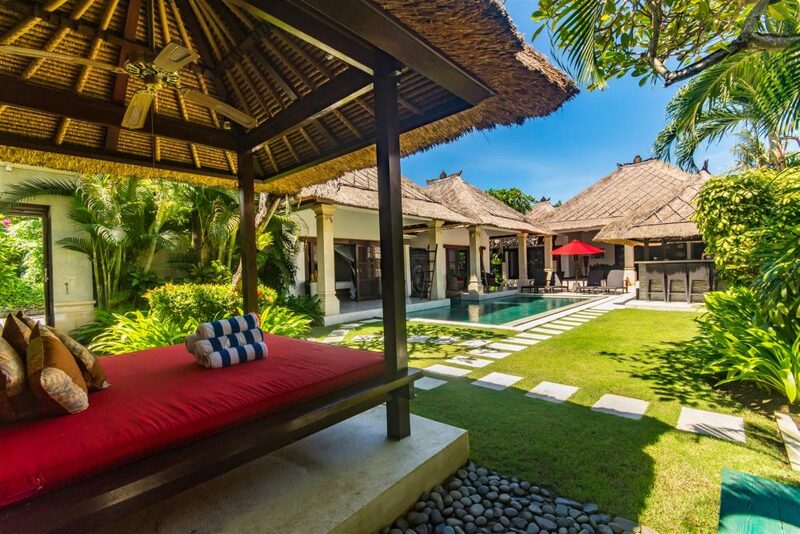 A Gorgeous 3 bedroom in the heart of Seminyak but nestled away from the street noise is truly stunning. Highly recommend the in-house dining. We arrived off an early evening flight to dinner cooking which made it easy not to have to rush out to feed the kids. 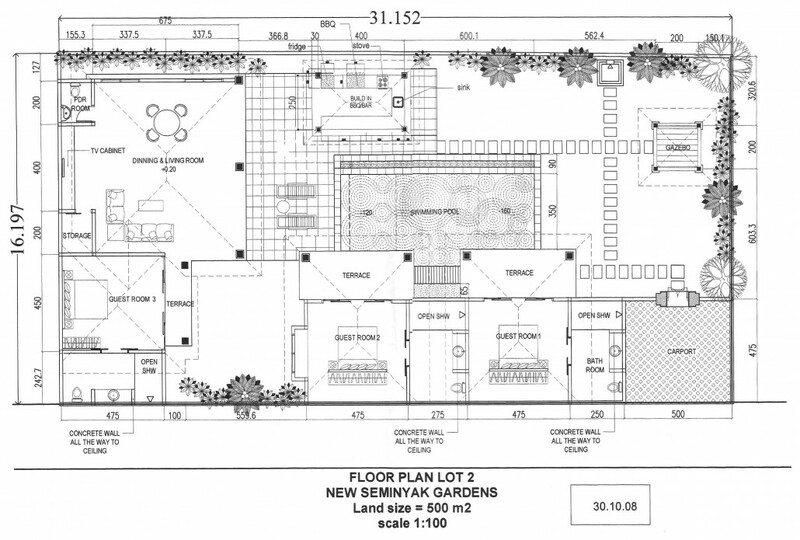 It has a great indoor/outdoor flow with the outdoor kitchen, living and dining area. 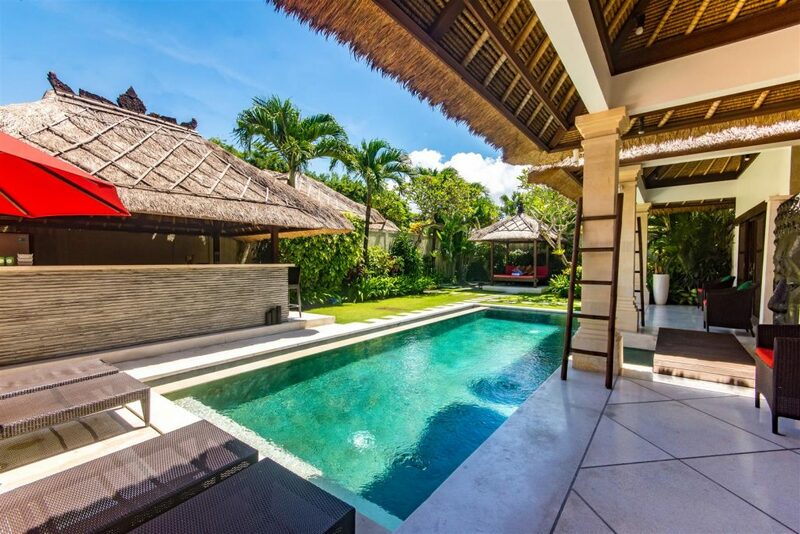 For most of us who been to Bali numerous times – a private villa is definitely the way to chill. 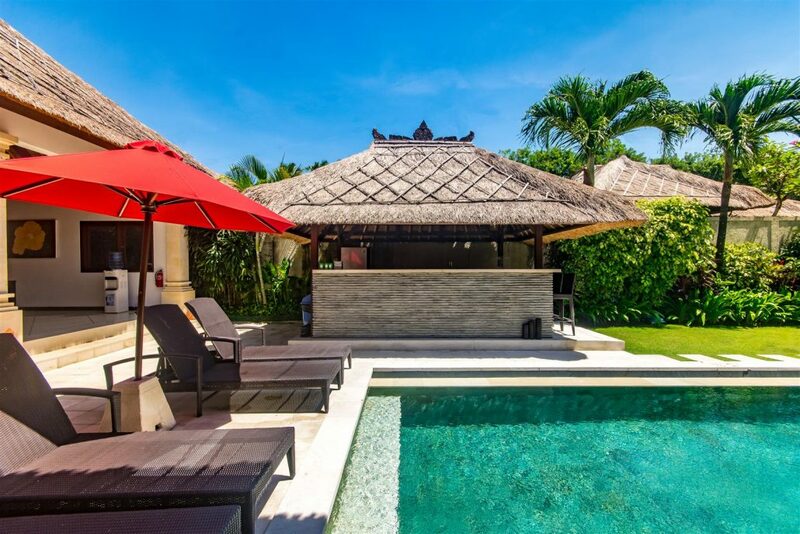 It is certainly a step up from the time-share properties in Nusa Dua area. Breakfast was prepared by their very capable staff – Sri & Nyoman every morning & the most delicious BBQ dinner when we had some friends over. 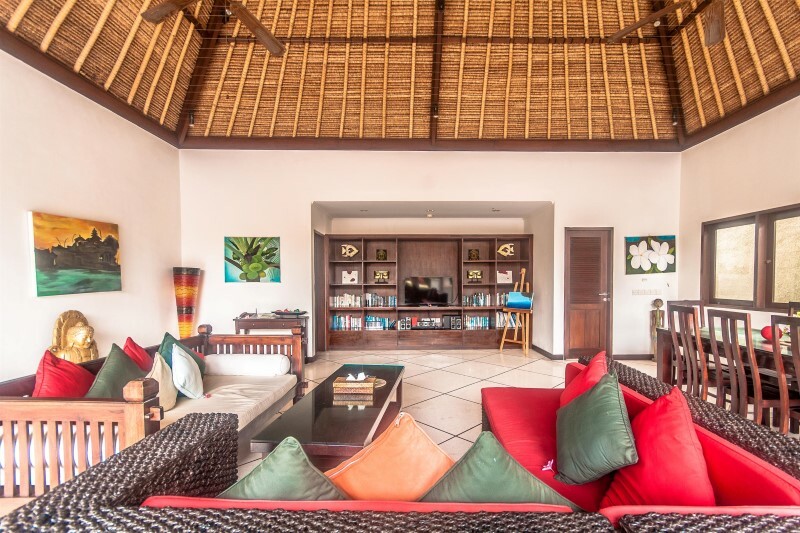 A private villa is like being in your own home with all the hotel comforts. We would like to commend Rai for going the extra mile to help us get a Balinese souvenir on our last day. Well-appointed rooms though water pressure was low. 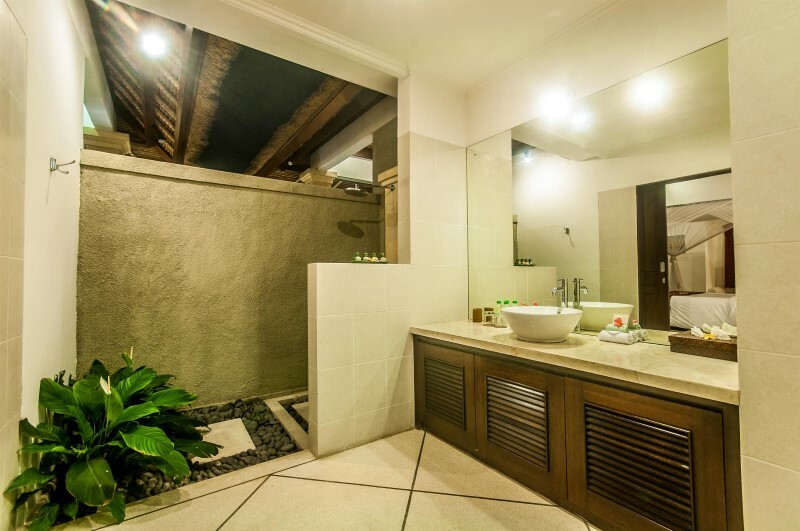 In the heart of Seminyak, this villa is spacious and bathed is sunlight all day long. Great facilities along with amazing staff that cater to your every need. We spent a week at Villa Rama in August 2016 and had a lovely time. The staff were fantastic – every morning, breakfast was cooked to order at the time we had requested. We also did the dine in option at the Villa a few times which was tasty and great value – there’s a few menus for you to choose from and you simply cover the cost of the ingredients and a few dollars extra per person. The staff kept the Villa spotless and were great at helping organise transport as necessary. I’d certainly book throug Villa Bugis again. We have just returned from an amazing 6 night stay at Villa Rama. 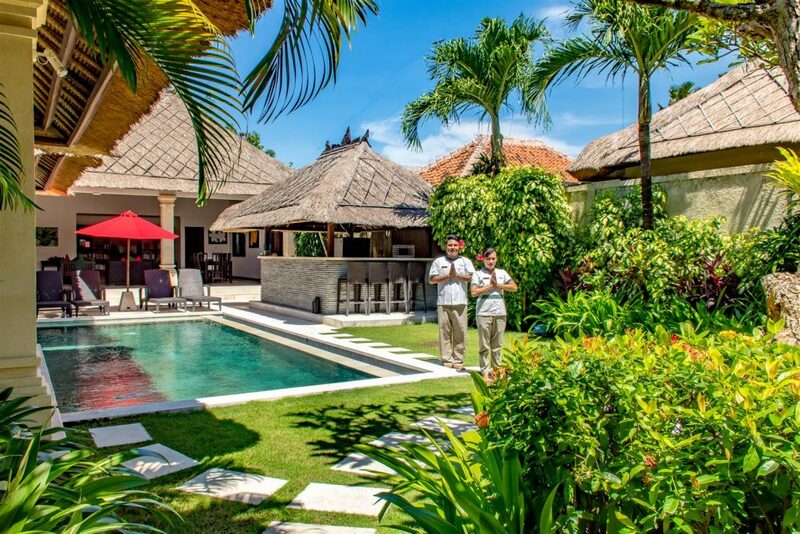 From the moment we first touched base with the team at Villa Bugis, Everything was spot on. They were super speedy in replying to my emails and we felt welcome before we even arrived. They provided free return airport transfers which was fab. We arrived late in the evening, The villa doors opened and we were absolutely blown away. It has so much wow factor, The pool was lit up beautifully, the grounds were perfectly manicured, so lush and green, the kitchen was fully stocked as was the fridge with the items I had requested. The lounge area is huge, so much space! 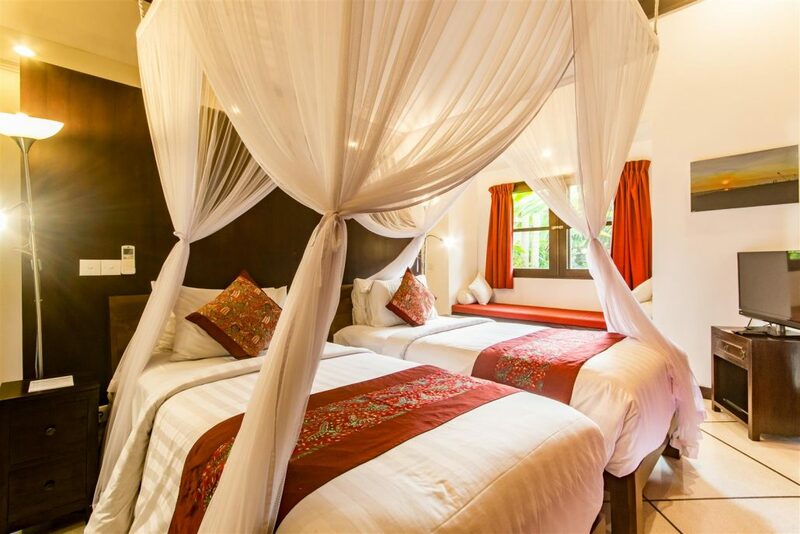 The rooms were all gorgeous, Huge 4 poster beds with white netting draped around, icy cold aircon ( controlled ) TV and DVD player, and loads of converter plugs for your charges. They have literally thought of everything you may need for your stay and provided. 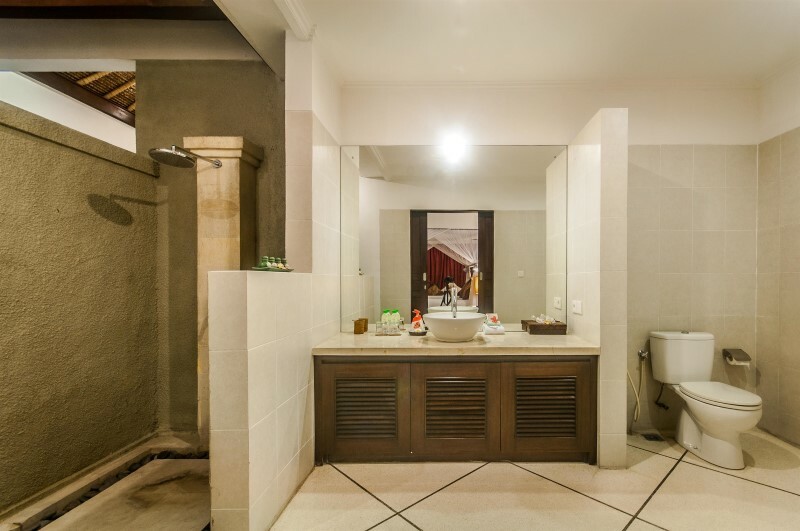 The bathrooms were so lovely with a beautiful outdoor shower, and very spacious. They are so friendly and helpful even popped in every now and then just to check how we were enjoying our stay and to remind us they are here if we need anything at all. They arranged masseuses to come , Whom set up for us by the pool so we could enjoy a massage without leaving our villa, it was super cheap too, around $15. Breakfast was served and cooked in the Villa at your desired time every morning, there was plenty of variety, we chose the American Breakfast, Bacon and eggs, fresh fruit and juice, tomato, sausages and toast, tea and coffee, we felt incredibly spoiled. 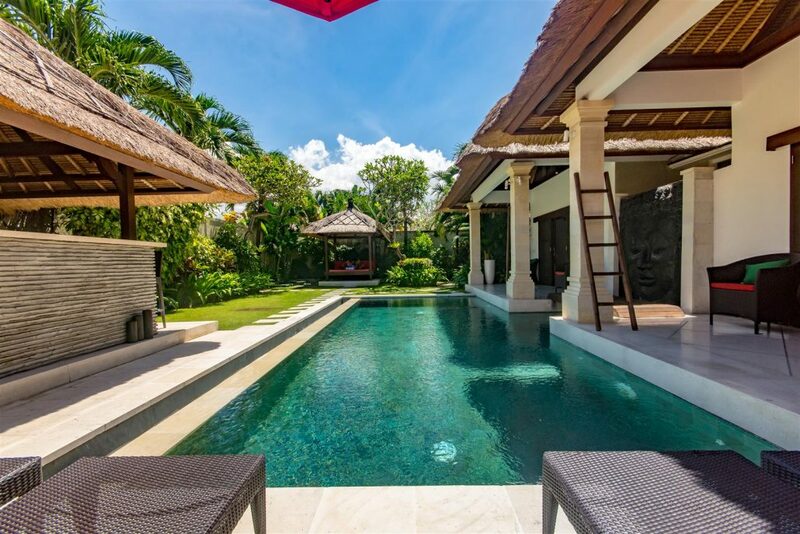 The location of the Villa is nice and central it’s within a complex of private Villas down a laneway, It’s a 5 minute walk to the Bintang Supermarket which is handy to grab some goodies to keep in your Villa. On the same street there was plenty of nice boutique shops, market shopping and heaps of restaurants and bars to choose from. The beach was 10 minute walk away, be sure to ask the staff where the short cut access is from the Villa. Walking everywhere was easy and safe, They have 24/7 security posted outside the Villa which was great piece of mind. Villa Rama was perfect for us as a family, Our kids 14 and 17, LOVED the villa, there was constant Snapchat and video chats to there friends back home to show off where we were staying, The wifi was strong always, this was of course important to them. We can not wait to come back and make some more amazing memories. 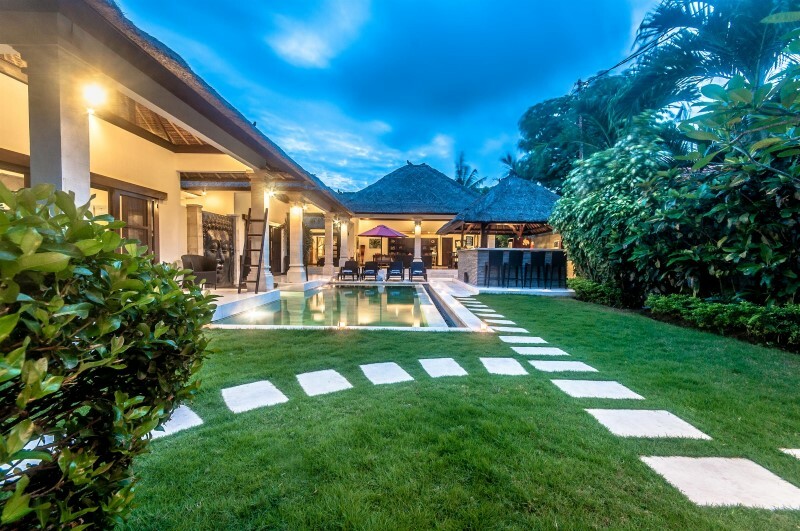 I would highly recommend for a Girls / Guys getaway as well, as there is so much space and makes for a nice change having your own private Villa and pool as opposed to a resort stay. We walked through the gate at the viilla and were blown away!! It was beautiful. The rooms were spotless, and I was surprised by the attention to detail.. Fresh juice on arrival and cool face cloths. All the staff were amazing, particularly Maddy who cooked our breakfast every morning. Yoman,our driver, was incredibly knowledgable and spoke excellent english. We only had a short stay and he recommended places to see. We arrived at Villa Rama and immediatly felt relaxed. The pool area is just great. We spent many days relaxin on the banana lounges reading and swimming. The bedrooms and bathrooms are loveley. The Villa is off the main street and is realy quiet, but still within walking distance to shops and restaurants. The Villa staff were all lovely. This is our second stay at Villa Rama, and returning there was like coming home! We noticed some subtle changes, all of them for the better and it was just so lovely to be back. Knowing what to expect this time, we took far better advantage of the facilities and spent far more time at the villa just enjoying the serenity. The BBQ and esky got a good workout! The villa is a bit of a walk from the main road but this time we hired a scooter for supermarket runs – just brilliant! As a group of 4 women travelling together, it is nice to know that people are watching out for you, and on the 2 occasions we had key issues with the front door late at night, before we could go and seek out help, the Security guys were there for us. Everyone in the area was so friendly, even if they did think I was a bit mad going for an early morning run!! The staff at the villa are just so friendly, can’t do enough for you. They thought it hilarious when I put my 75 year old mother on the back of the scooter to take her up to the supermarket. 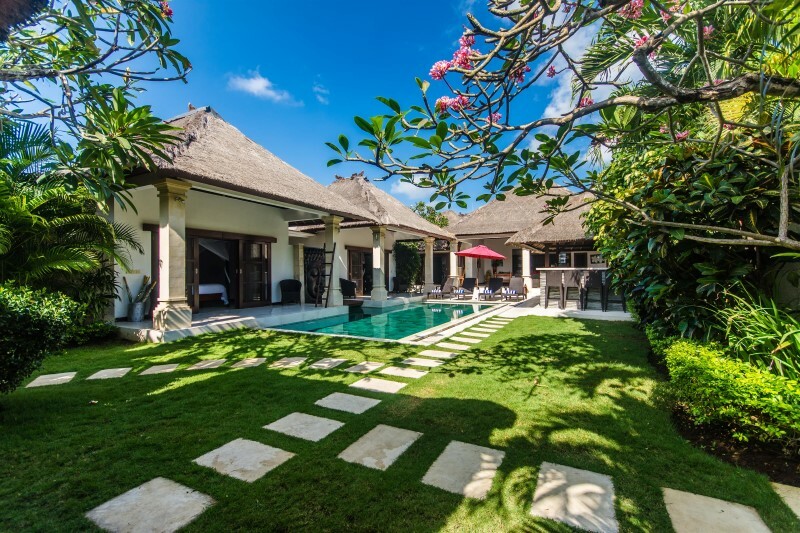 It would never occur to us to stay anywhere else in Bali – already planning the next trip and will work around the availability of Villa Rama. Stayed at villa Rama for a few days with some friends and we all thoroughly enjoyed it. The villa was very clean and cleaned daily. Staff were very helpful and there to assist whenever we needed them. They were always on call and fulfilled all our requests immediately. Not to mention the lovely barbecue which they put on for us. You should definitely not miss out on this. I would highly recommend this villa to any age group. We booked into Villa Rama after looking through Trip Advisor and asking around. We were met at the airport and the positive experience started from there. The villa was just as it was presented on the site. All rooms were spotlessly clean and the pool and gardens were very inviting. Beds were very very comfortable. We were prepared for the service – breakfast daily, cleaning daily, gardens cared for and guest manager visiting to see if he could help us in any way – but we felt so cared for, so looked after. There was not a phone call that went unanswered and often a friendly face appeared just to check we understood and were happy with the response. While there I celebrated my 60th birthday and I assure you I will never forget it. After breakfast was served in the morning and as I was being told of the day’s plans in through the gate arrives 4 staff, one playing a guitar, one carrying a cake and all of them singing to ME! 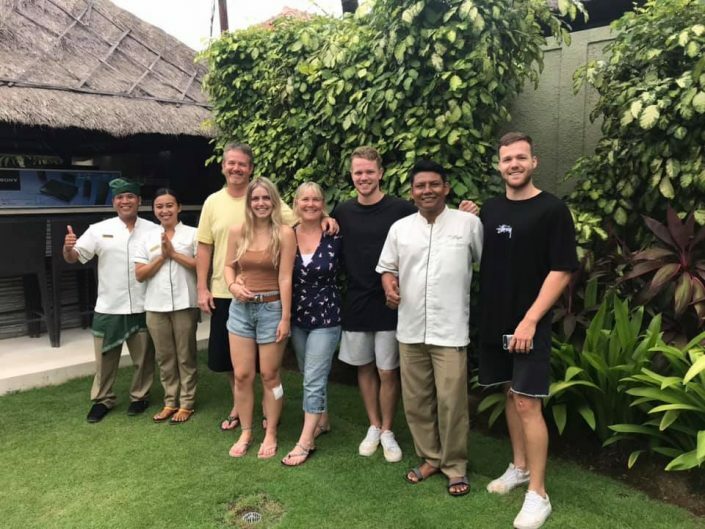 I was so touched I cried..we organised for the staff to cook for us in the villa – a magnificent seafood banquet and then some staff played guitar with some of my children until well into the night…..great memory. The location was fantastic. 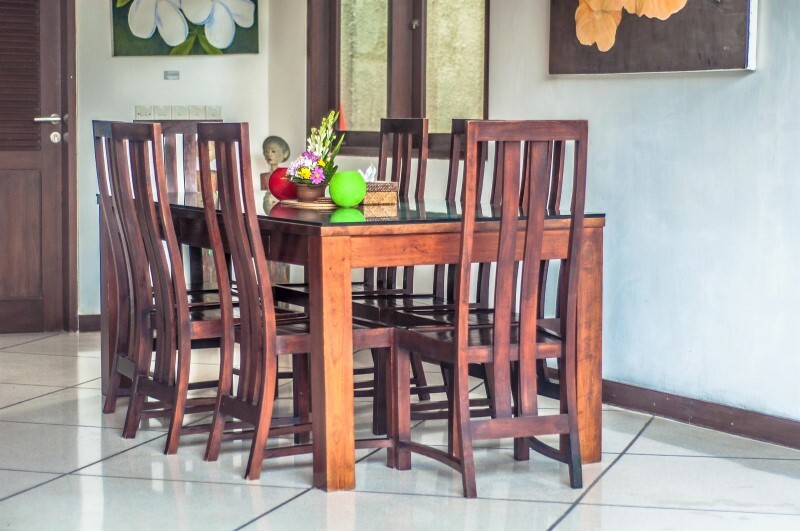 Close to Seminyak shopping, restaurants and nightlife. We hired scooters and found that to be fun and useful. Yes it rains in Bali in January but not all day and everything is made to accommodate that rain so in lots of ways it is a much needed break – time to sit back and watch a DVD. All the facilities are here – TVS, DVD players, speakers for your iphones, esky, full fridge, microwave, blenders etc. If I had to say anything negative it would only be to make sure you are booked into that villa until late in the evening as Australians often don’t fly until 10pm or later. 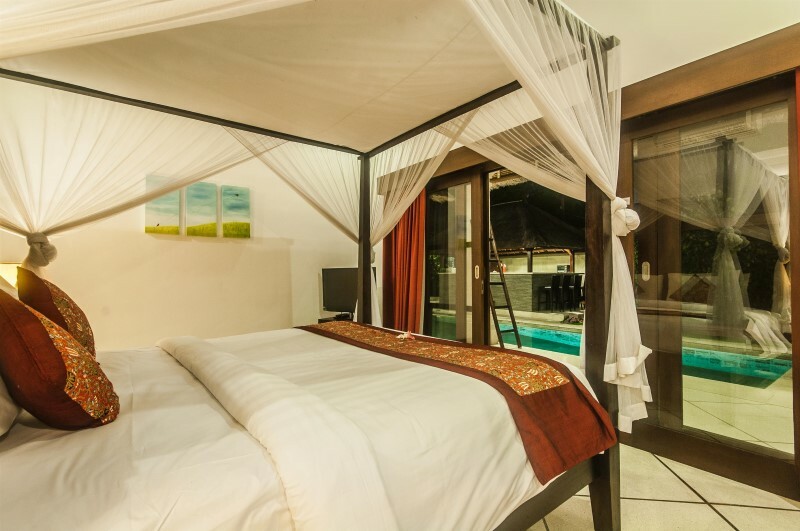 Also probably not for small children as the pool surrounds the bedrooms and living areas – great for adults though! Just returned from 8 days at Villa Rama with 5 friends and enjoyed every moment. 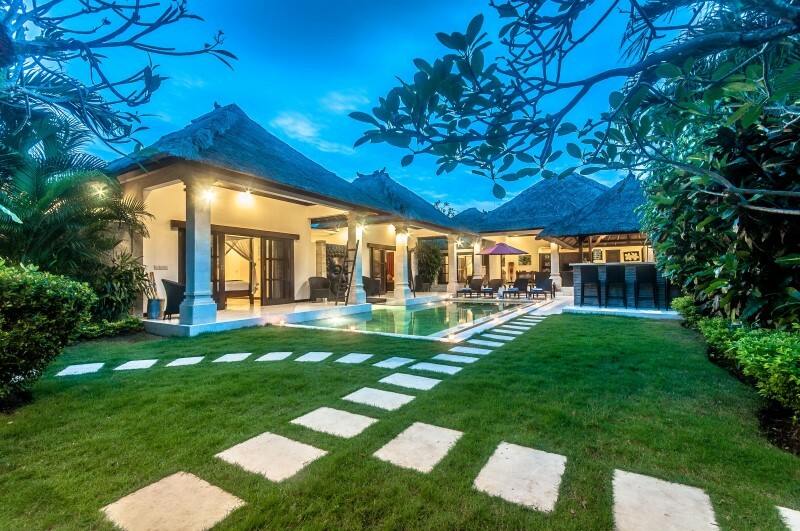 The villa was exactly as described by the owner and by the managing agents, Villa Bugis. 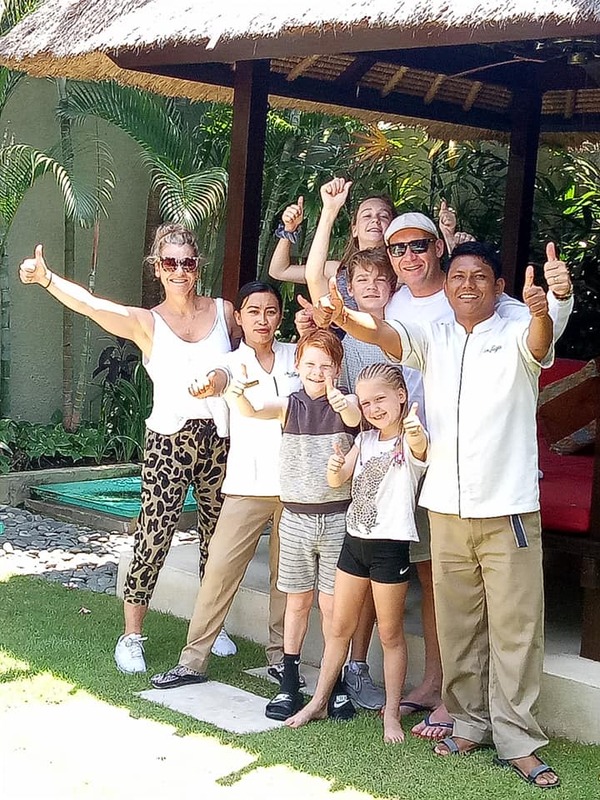 The Villa Bugis staff were fantastic and their attention to detail was amazing – from our beautifully cooked breakfast every morning to the preparation of our rooms at night, which included lighting the mossie coils and letting down the mossie nets. One night we arranged For the staff to cook us an Indonesian feast, which was delicious and great value for money. The facilities at the villa were excellent and the pool and the day bed was put to good use. 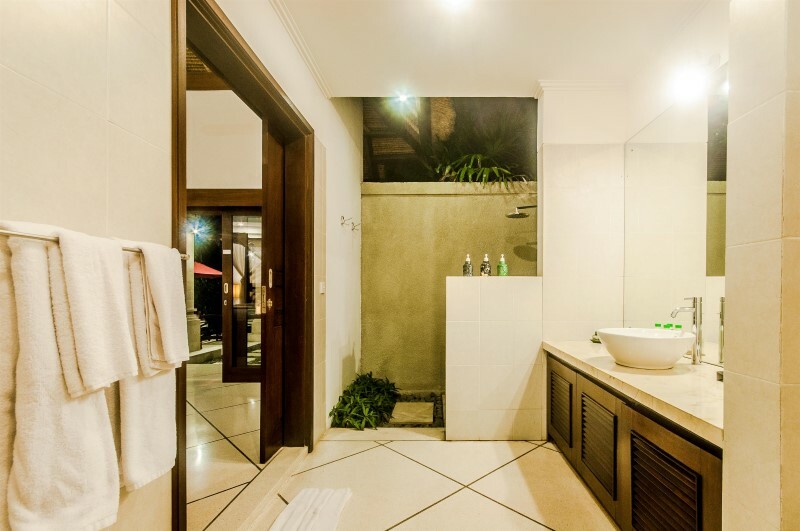 Best of all, villa Rama was a haven of peace and quiet from the business of seminyak. It was a great place just to hang out and relax. I stayed here for 10 days with 3 others and it was absolutely magnificent. The setting is lovely and peaceful and serene, the staff ever so friendly and helpful, just brilliant. The beds were lovely and comfortable, slept like a baby, and sharing the open bathroom with a frog just added to the whole experience. 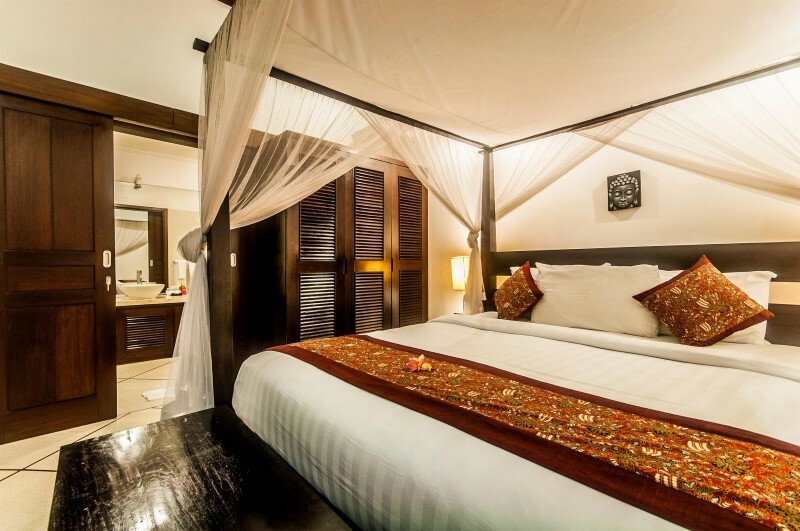 I’ll never stay in a hotel in Bali again, Villa Rama all the way for me. The kitchen area is very well set up, we did our own meals several times and found everything we needed. 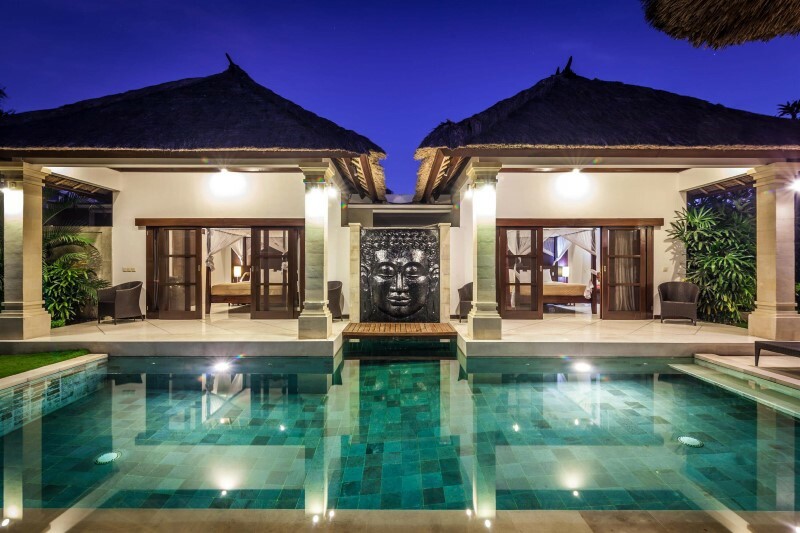 The pool is absolute bliss, made extra special with the Buddah watching over as you swim. My 73 year old mum had to work at navigating getting in and out, but she managed. One thing to be aware of, it is quite a walk out to the street (Bintang Supermarket) for older people, however most of the time you can convince taxis to make the trip down the narrow road for you, no one wanted to upset “Nanna”!! Can highly recommend this property, just loved my time there. Villa Rama was a good accommodation choice for my family (5A2C) vacation from 07th to 13th June 2014. We made inquiry with villa owner, Mr. Peter. This was where the warm hospitality started. Mr. Peter was very fast in responding and was accommodating to our request. His reservation staff, Ms. Diah, was friendly and helpful too. 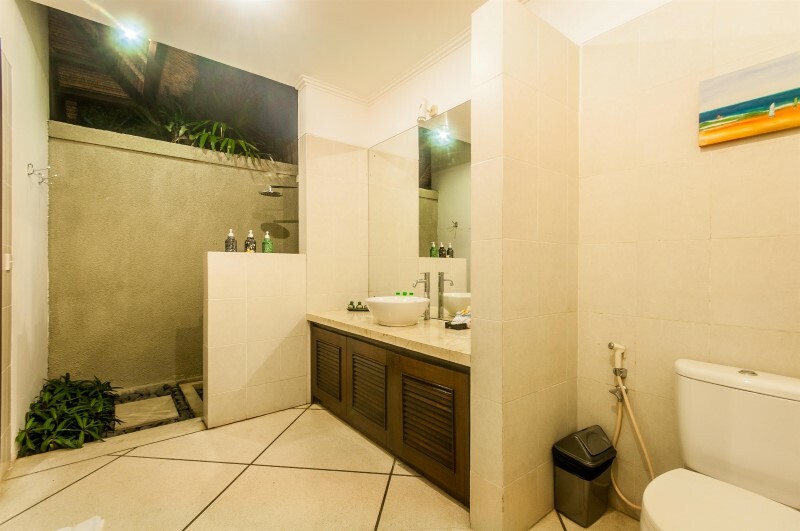 Villa Rama is located on Jalan Raya Seminyak and is convenient to walk to Bintang Supermarket, restaurants, shops. It is about 10 mins walk to the beach where we viewed a beautiful sunset and back the next day to have water fun! Don’t be worried by the long narrow roads that vehicle has to drive through to reach the villa. Our assigned driver, Mr. Kadek Gembalan is a safe driver. The villa team showed and directed us the shorter path to walk to the amenities. Security team was friendly and they are on duty 24/7, keeping the villa area safe. Villa Rama is well maintained by a dedicated team. 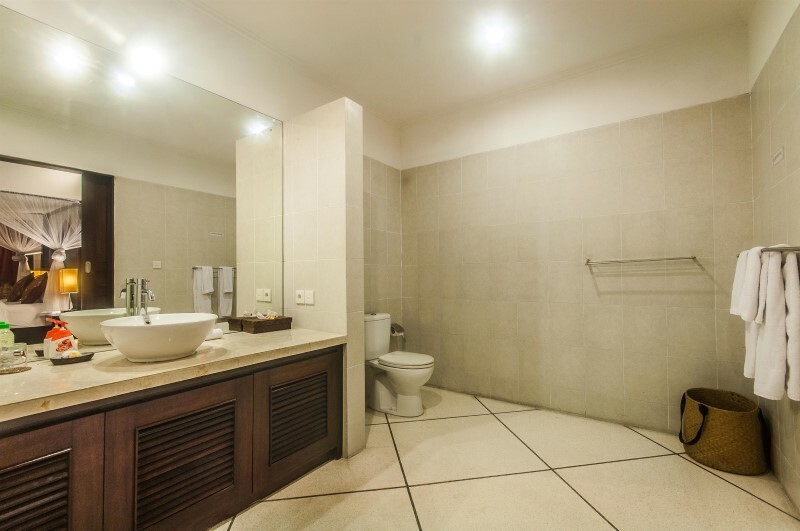 It is clean and the layout is exactly As-Is what you see the photos on the villa website or the virtual tour link. We appreciate the services of Villa Supervisor Kadek Suadnyana, Guest Assistant Ari Sapta Supriatna, Chef/Housekeeper Ms Made Rudani for making our stay very comfortable. They are quick to response when we needed assistance. My family enjoyed Ms Made’s cooking for our breakfast and dinner. Operations Manager Ms Rachel and Guest relation staff did dropped by to welcome us and to ensure everything was ok. The warm hospitality continues throughout our vacation. Other areas to highlight: the villa is housekeep daily and garden is cared daily by a gardener. We witness the cleaning of the pool on our last day as there was another group of guests checking into the villa. Mosquitoes are part of Bali’s nature due to the humid climate and a land of paddy fields. Mosquito coils, repellent spray, insecticide spray are provided in the villa and replenished when the stock runs low. These items were good enough for my family & I did brought along repellent patches for my kid. The villa has interesting fauna in open concept living. It was a relaxing holiday for my family. We had great time in the pool. Thank you Villa Rama team for making our stay so enjoyable! This is my third stay with Villa Bugis and my second stay at Villa Rama. The company are great, very easy to deal with, quick to respond to any questions and quick to confirm any arrangements. You will feel confident in dealing with them and they have all the bases covered, airport pick ups, check in and out, food, massages – you name it, they will arrange. Villa Rama remains my favorite. I have previously stayed with friends (the villa has three large seperate double bedrooms) however this last stay was just with my partner, the rate is still comparable to a good hotel…the location is great, a 5 min walk to the nearest supermarkets and shops / bars etc…and a 10 min walk to the beach, but set back in a quiet lane ensuring it’s quiet and peaceful. The decor is tasteful, the villa is sparkling clean, it’s well appointed and very well equipped with everything you could possible need including TV / DVD / Wii / Bluetooth Speaker, Stereo, BBQ, Cable etc…The owners have thought of everything from plastic poolside wine glasses to mosquito coils, all you need to bring are your sunglasses! 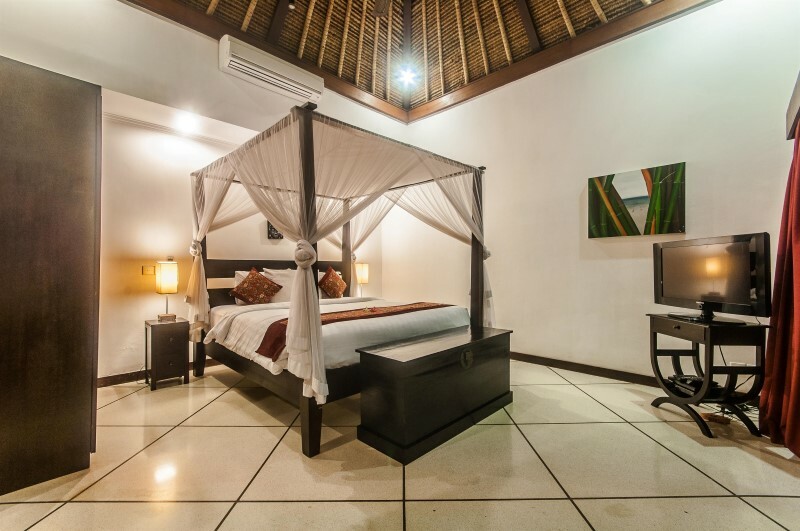 The pool is beautiful and the day bed and loungers are comfortable – although the villa is very central and within walking distance of KDT and Potato Head, you may struggle to pull yourself off the lounger and venture out. My GF and I enjoyed an evening in KDT and a sunset walk along the beach but the following night, bought some fish and wine from a local market and had a BBQ at the poolside and drinks at the poolside bar. I cannot rate this place highly enough and I’m literally counting down the days until I will get to go again! Thankyou to all at Villa Rama for another amazing holiday! 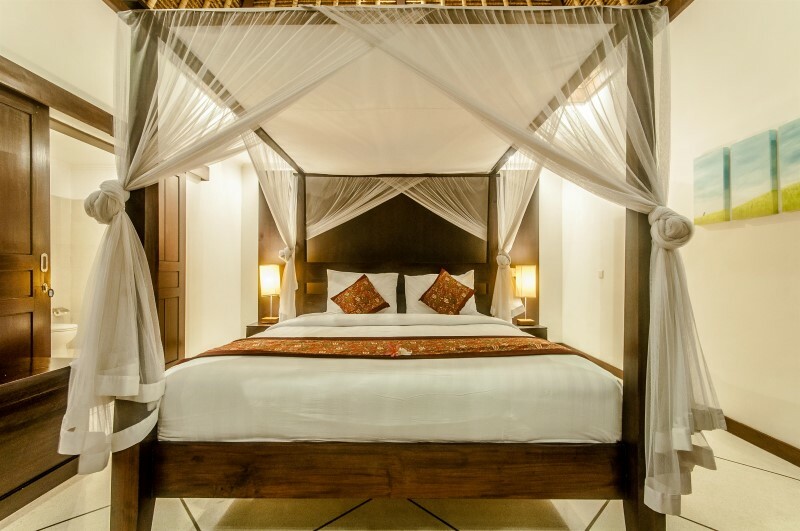 ZWe holidayed with two other couples and chose Villa Rama. This turned out to be a perfect choice. The villa is spotless. The pool and grounds are immaculate, each time we walked into the villa it was like returning to a paradise. The villa had everything we needed and more for a great holiday. 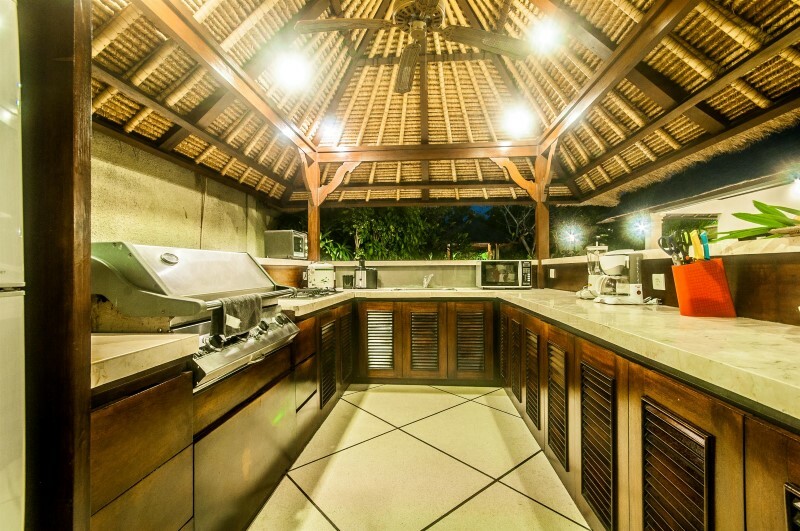 Whilst we took full advantage of the many great local restaurants, the fully equipped kitchen, including full sized BBQ, juicer, blender and coffee machine meant that when we were lounging around the pool we could enjoy ourselves with all the comforts of home. The king size beds were super comfy. The shopping service was a great help, but best of all was the friendly, happy staff that looked after our every need. Nothing was too much trouble. 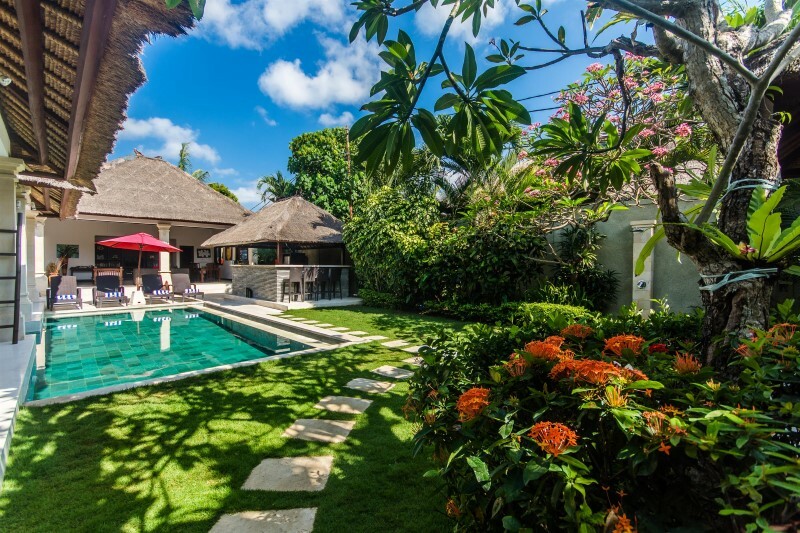 The location is central to the best of Bali with massages, restaurants, shops and the beach around a six minute walk away. We absolutely loved our stay at Villa Rama. Everything about it added to a great holiday. 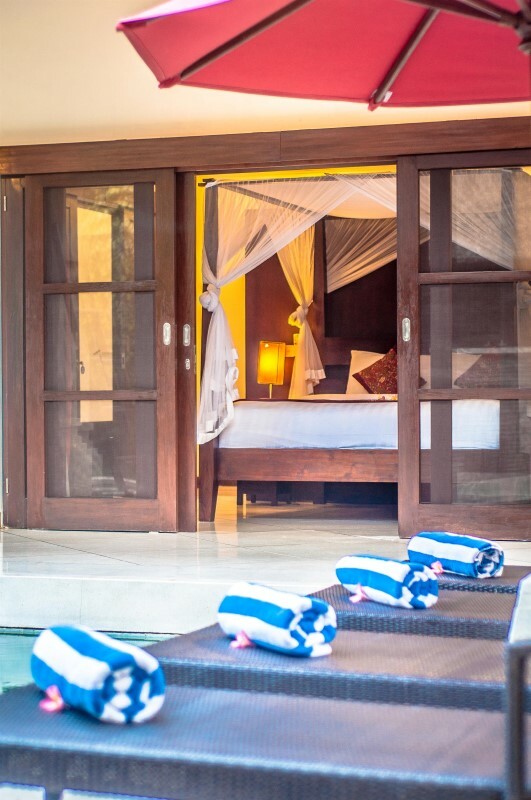 We holidayed with two other couples, Villa Rama turned out to be a perfect choice. The villa is well cared for and welcoming. The pool and grounds are immaculate, each time we walked into the villa it was like returning to a paradise. The king size beds were super comfy. The shopping service was a great help, but best of all were the friendly, happy staff that looked after our every need. Nothing was too much trouble. 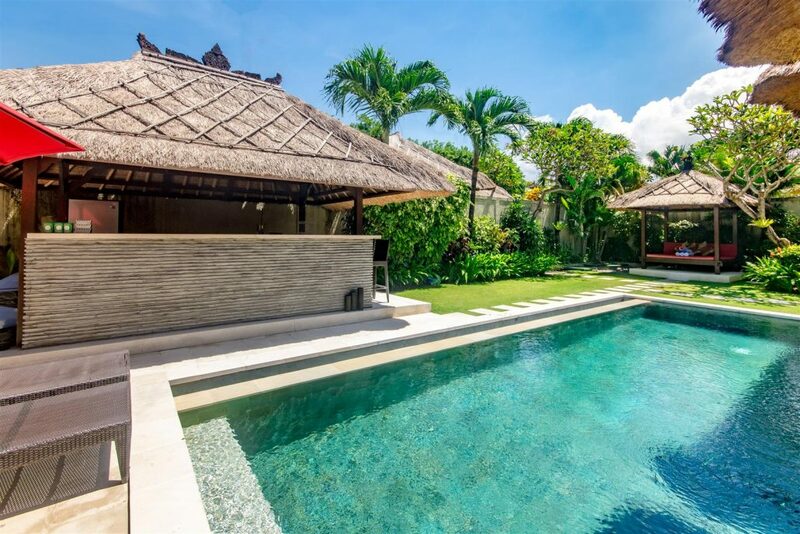 The location is central to the best of Bali, with massages, restaurants, shops and the beach around a six minute walk away. 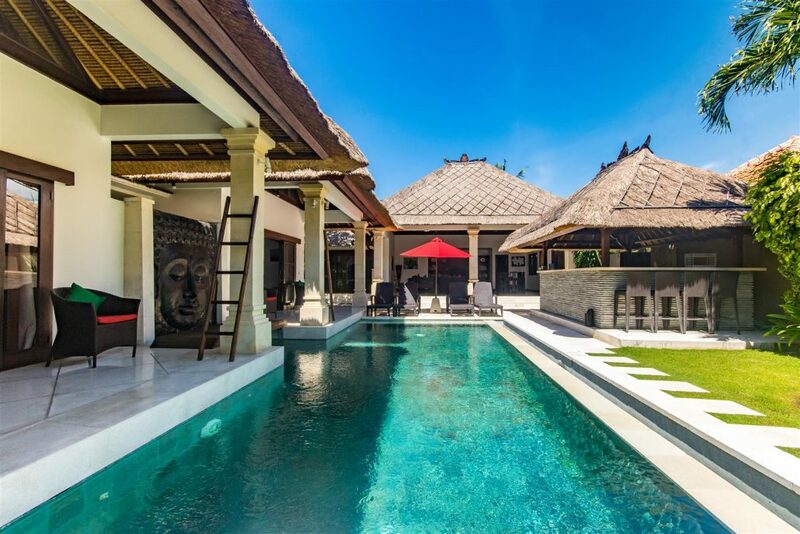 Anticipation at all time high knowing that we will be going to holiday in Bali & staying in a nice big villa in Seminyak. 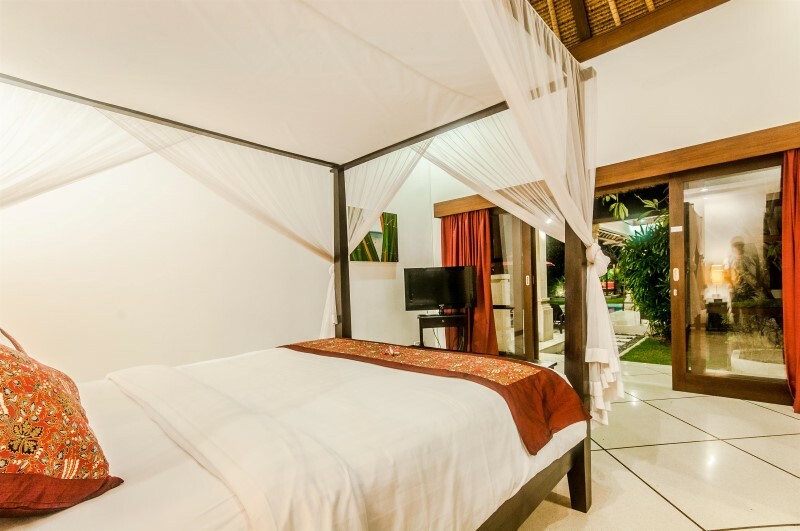 We stayed in Seminyak before & we loved the area… & also the previous villa that we stayed in. The pictures of Villa Rama that we saw in the web are real; no gimmick, no Photoshop, no touch up. It’s big, spacious, cooling, cozy; everything that we want in a ‘holiday home away from home’. A short 7 mins walk to the main road where the happenings are; shops, cafés, restaurants, boutiques, spa, massage, supermarket. Real convenient. 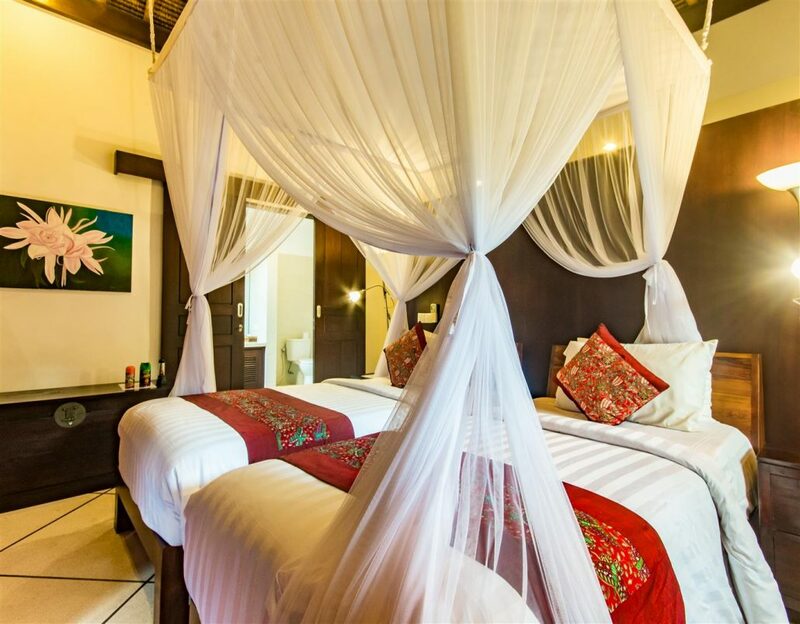 Comfortable bed, open-air bathroom, nice pool, pantry/kitchen to prepare our meals (or have our meals prepared), wide hall to ‘lepak’ (chill) & chit-chat, tv, video, music….heavenly relaxing. Just be prepared for Mozzy tho’ mosquito coils are readily available. 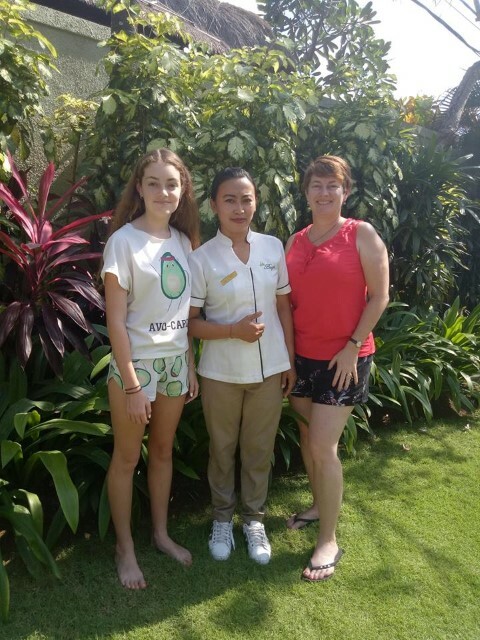 Our ‘caretakers’ were friendly, obliging, ever-ready to assist us with our requests for directions, recommendations, transportation, housekeeping, shopping; what a service. 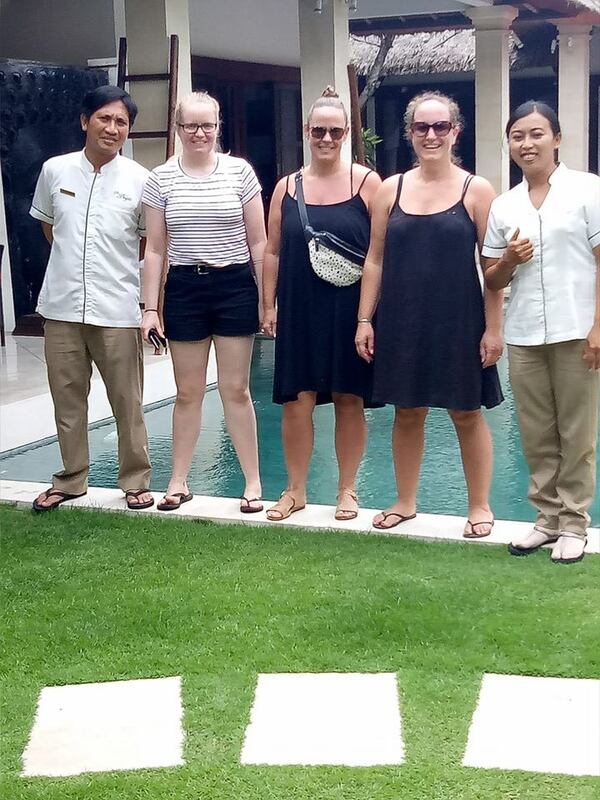 Kudos to Kadek, our Villa supervisor, who were there to welcome us when we arrived. And our driver, Pak Ketut, who has driven us around for 2 days. Our regret; not staying longer than our 4-day retreat. We will definitely come back & even return to the villa. A repeat visit to Villa Rama, been maintained and kept in pristine condition. Very clean and extremely functional with wi-fi, 100’s of channels on the tv, fully functioning kitchen (even though I only mainly use the BBQ), aircon in the bedrooms, very large bathroom (love the outdoor shower)… and the main feature, the pool (which we spent a majority of the time in, relaxing with a drink in hand!). Close to the shops, so easy to stock up from the supermarket just a 5-10min walk away, if it just for eggs or a box of Bintang beer (which can be bought from the local corner stall around the corner from the villa)! Definitely will visit again! We loved Villa Rama. 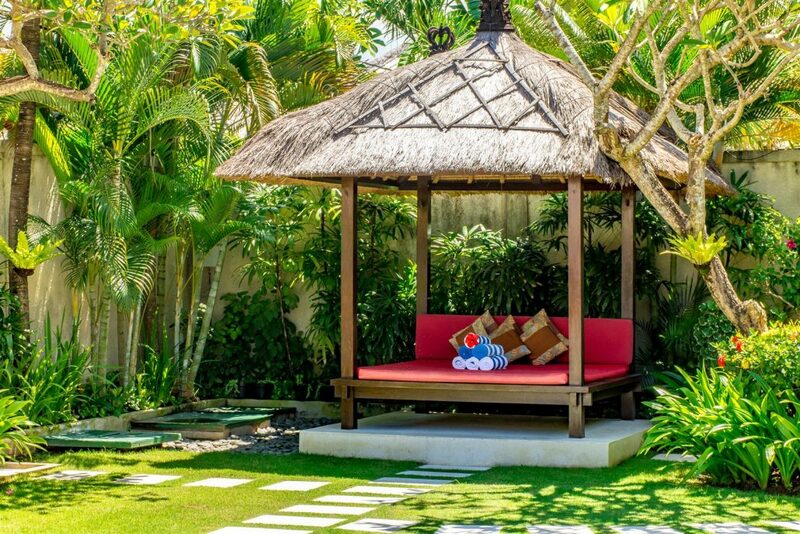 Such a sanctuary, tucked away in the heart of Seminyak, well away from the main roads, yet close to the spas, shops and restaurants. 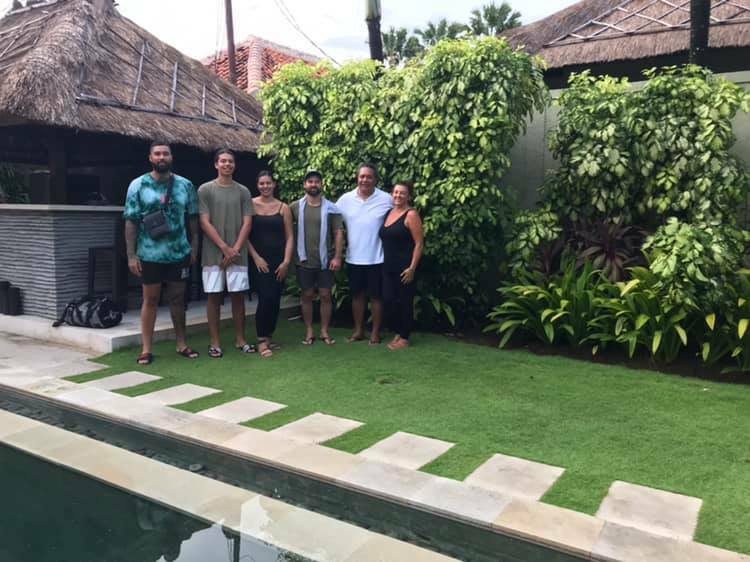 It felt like a traditional family home in Ubud, where we also spent a couple of days exploring before returning to Seminyak. Villa Rama is so versatile. It’s a private retreat, a family getaway, your own private restaurant, a place you can spend all day in the pool, a bar to enjoy with friends – and the perfect place to chill. It felt like a secret hideaway for Sting or Richard Branson. On the last day, we had a night flight and spent a little too long out shopping. By the time we got back mid-afternoon, all we wanted to do was flop in the pool with the kids. The staff are fantastic. They arranged a traditional Balinese meal in-house and cooked it for us. One of the best meals we had in our time in Bali. Leaving straight for the airport after a home-cooked meal instead of deciding on a restaurant was just the perfect no-rush finish to our holiday. We’ll be back! PS: The kids loved seeing the cow and calf down the lane way on the way to breakfast each morning. We have just returned after spending 12 fantastic nights at Villa Rama with our 4 teenage children.There are not enough superlatives to write about this property. Days were spent lazing around the pool or on the daybed and there is so much space for all to enjoy. Open air showers and very large separate bedrooms and bathrooms proved ideal for our family. The owner Peter met us on arrival as he had been staying there and provided us with his personal insight into places to eat, things to do etc and he was always available via email to assist. There’s a little shop for drinks and basic supplies at the end of the lane Peter recommended and the family were so grateful for buying from them they made you feel like a local. The Bintang Supermarket is a short walk away where you can get all your groceries and Meat if you want to cook a BBQ at the Villa. The staff were excellent and very unobtrusive in providing breakfast daily, room makeup and cleaning the grounds. 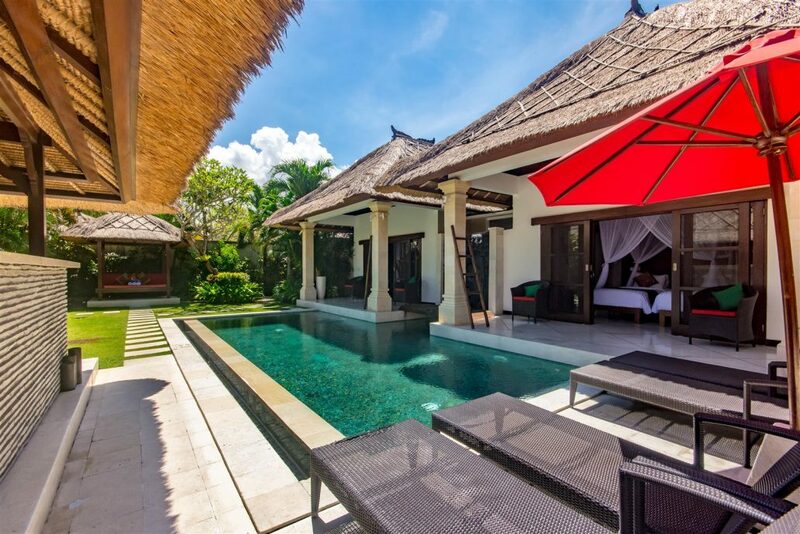 We have stayed at many villas in asia and Villa Rama is absolutely up there with the best. We would certainly recommend this place to anyone wanting a relaxing holiday in a centrally located yet peaceful location in Bali. I just wanted to thank you for allowing us to enjoy your beautiful villa. I just wanted to let you know that your staff are tremendous and a special thank you to Kadek who was there for us for everything. Thank you Kadek. Thank you also Peter, for my birthday cake although too unwell to contact you earlier to thank you but it was a really lovely gesture and a real surprise. The villa itself has everything we needed and more, the breakfast the first day was a great way to start the holiday, everything was cleaned beautifully daily and the pool was superb. 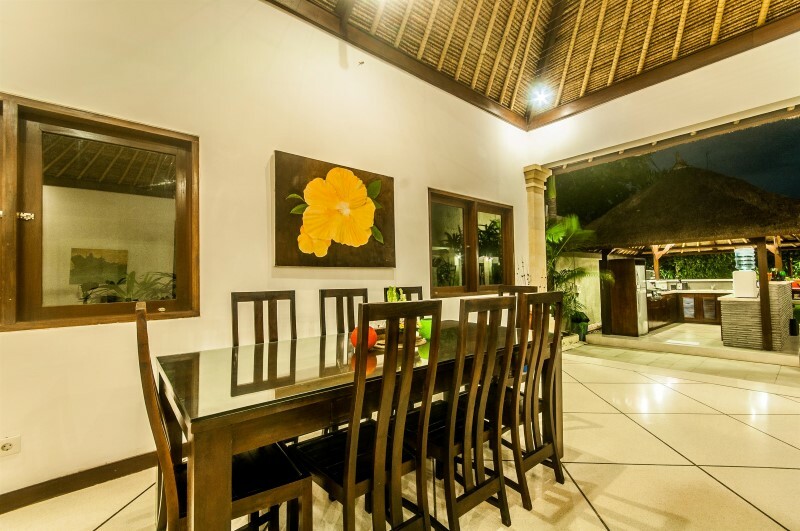 Second stay at this villa, staff are friendly and helpful, villa is spacious and well equipped and just a short walk for restaurants supermarket and beach. 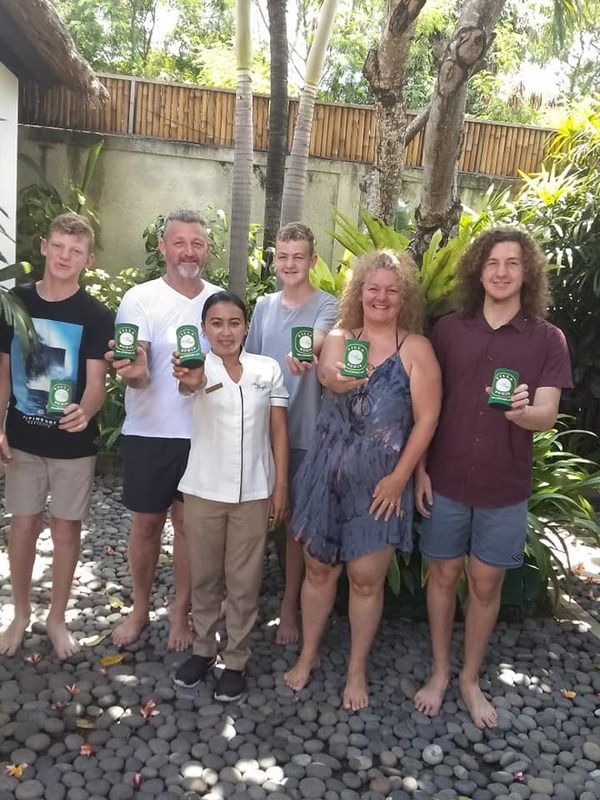 Our family along with three friends stayed at Villa Rama (part of the Villa Bugis group) for 10 days. The villa was outstanding, we would go back in a heartbeat! 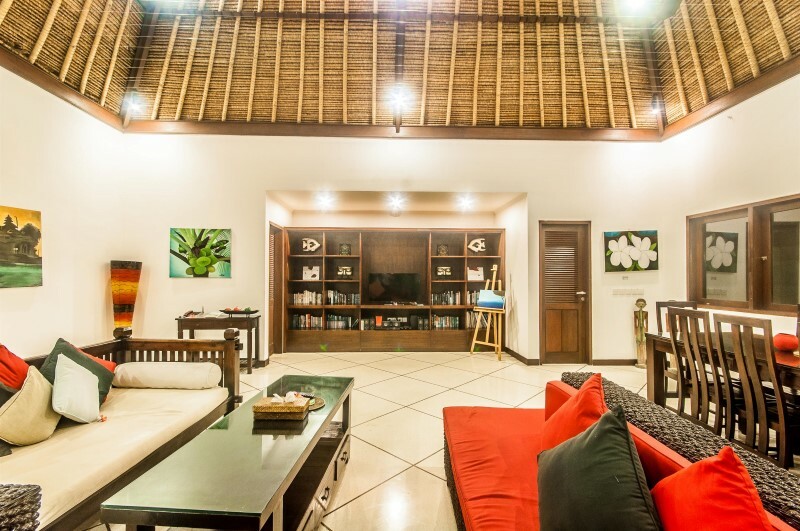 Villa Rama is located in a quiet area within easy walking distance to the main dining street, supermarket and beach. 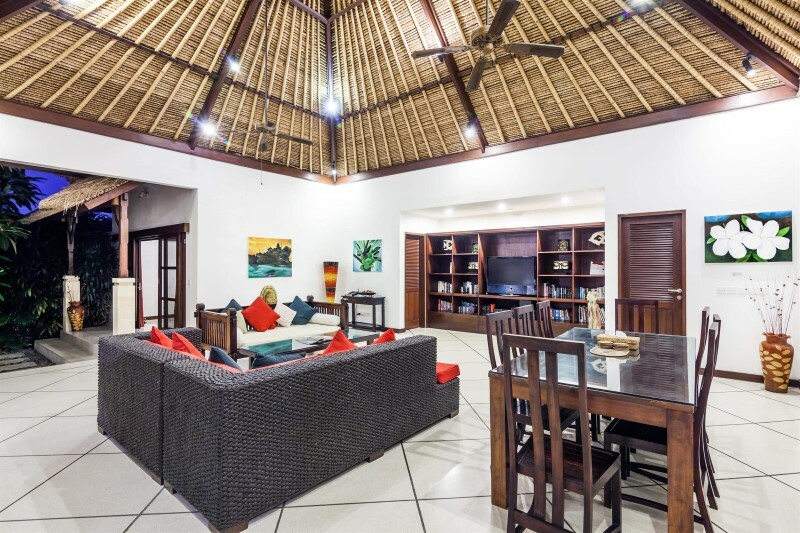 The layout is amazing, the villa is much bigger then we expected and is ‘open living’ in design which means all the communal areas are open air, surrounded by beautiful gardens and pool. Mosquitos weren’t a problem as long as you use mozzie coils (provided). The villa was immaculate and fitted out with everything you could possibly need, they even arranged temporary pool fencing to be put up before our arrival to keep our curious 4 y.o out of harms way. Other highlights were the WiFi, awesome aircon, open air showers and the huge selection of DVD’s. The staff were fantastic. Nothing was ever too much trouble yet at the same time they were completely unobtrusive. Everything (breakfast, dinner, massage, yoga, transport) can be organised through the villa with minimal notice. The complex also has guards. 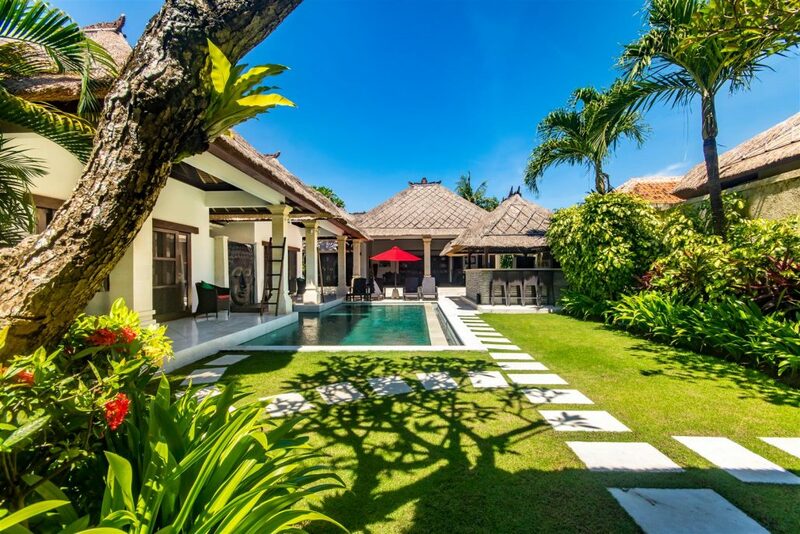 Loved this place and would highly recommend it to anyone looking for a villa in Seminyak. WOW, what a great place to stay. ..Villa Rama was exactly as the pictures showed-clean, modern and spacious. Our attendants were polite, friendly, helpful and accommodating. .nothing was ever a problem they left us to do our own thing but were here when we needed them..